Looking for a new exotic toy? Has Ferrari got a deal for you! You pay the equivalent of $3.3 million for a car that you can’t drive on the road and that isn’t suitable for any racing series. And that’s not all! For the first two years of ownership, you can’t have the car in your possession. It has to remain with Ferrari, and when you want to drive it, a team of Ferrari mechanics and technicians must bring the car to the track to prepare and service it for you. Ready to buy one? Hold on, Ferrari probably won’t let you — to be deemed worthy, you have to have previously purchased the prerequisite number of Ferraris prior to this (no one knows exactly what that number is). Then you have to lobby head office in Maranello that you have the right ownership profile – i.e. you won’t flip the car for a quick (multimillion dollar) profit, you won’t post videos on YouTube of you showing off and abusing the car, etc. John Taylor from Dallas, Texas ticked all of the right boxes. 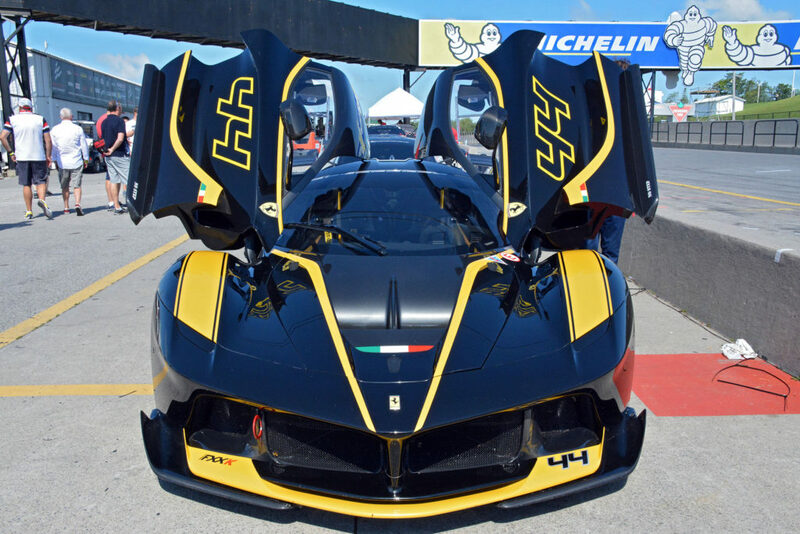 He is the owner and driver of one such car, a Ferrari LaFerrari FXX K. There are only 40 LaFerrari FXX Ks in the world, and three of them were at Canadian Tire Motorsport Park last weekend. 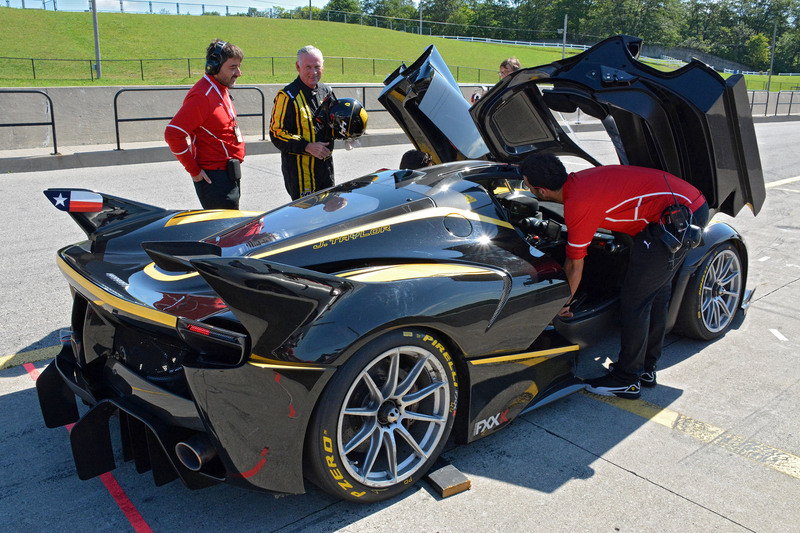 They were there for the Ferrari Challenge North America and Ferrari Racing Days. For fans of the prancing horse, this was the place to be. 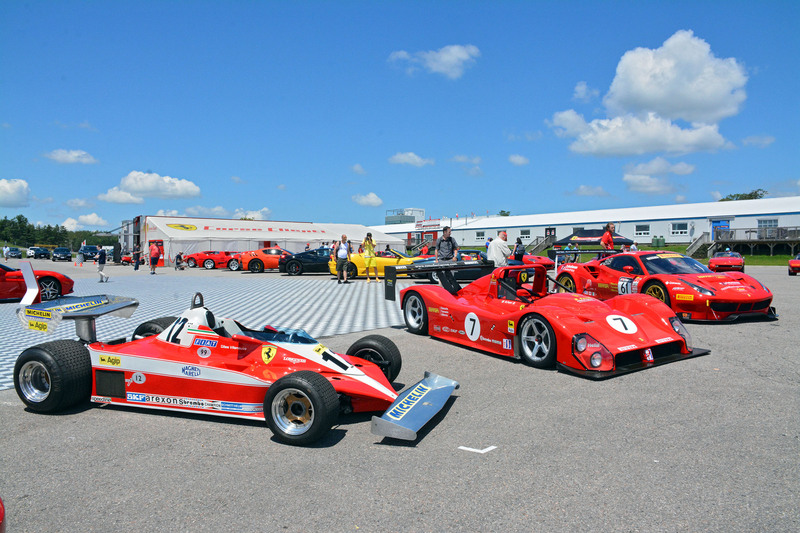 The landscape overflowed with old and new road going and racing Ferraris, including the Ferrari Formula 1 car that Gilles Villeneuve drove to victory in Montreal in the 1978 Canadian Grand Prix. 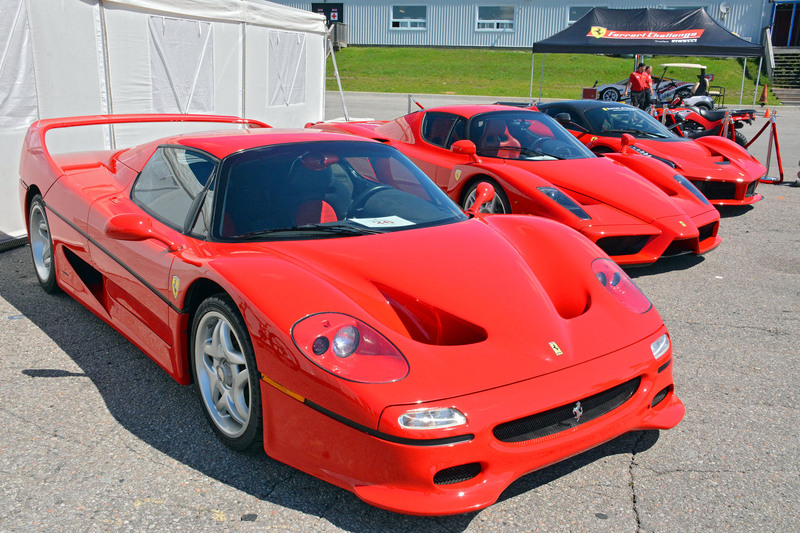 Taylor (no relation to the author, unfortunately) has more than half a dozen Ferrari’s in his current collection. 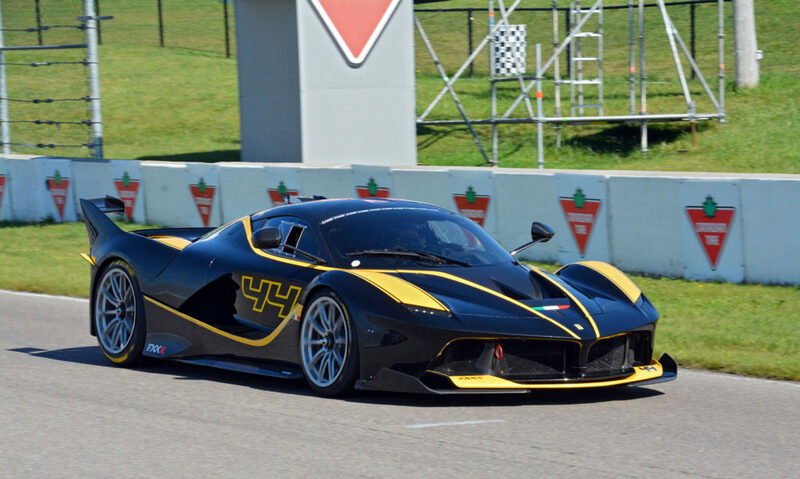 He bought the LaFerrari FXX K after the president of Ferrari North America successfully lobbied the powers that be in Maranello on Taylor’s behalf. 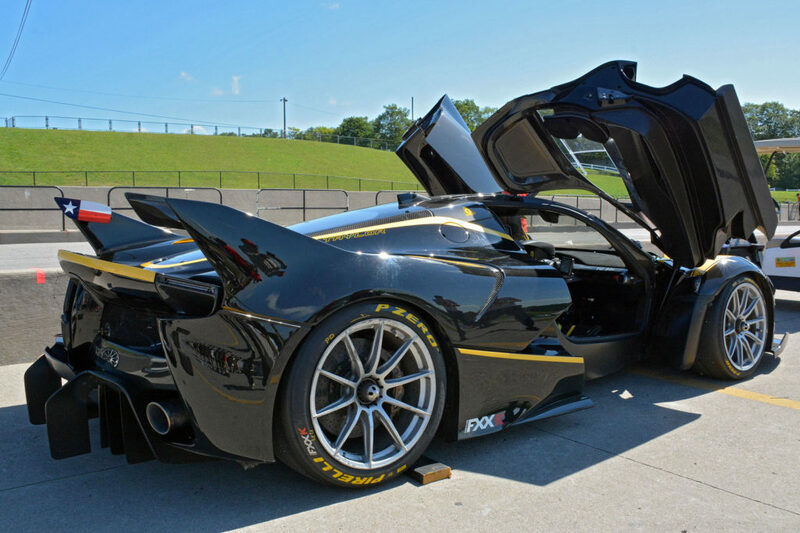 The Ferrari FXX K generates a staggering 1,050 hp form the 6.3-litre naturally aspirated V12 and electric motor. 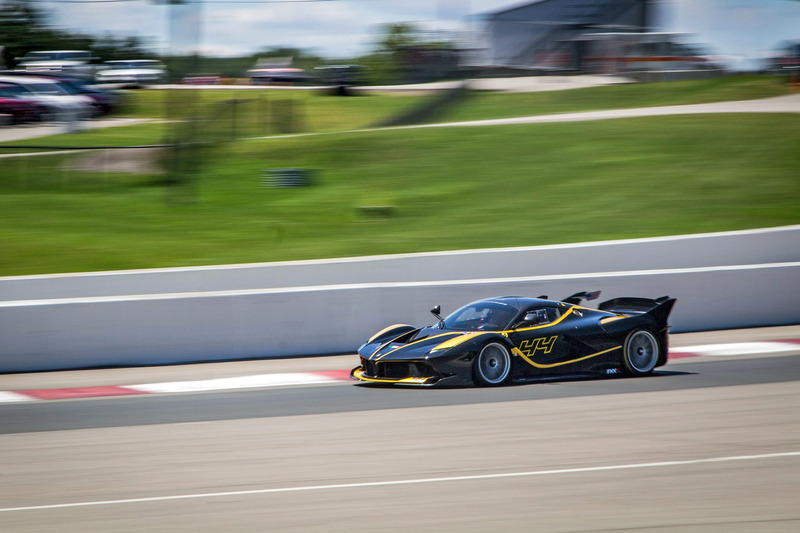 The “K” in FXX K stands for KERS or Kinetic Energy Recovery System. When asked how much he paid for the car, Taylor responded, “I paid about $2.3 million EURO’s or so. Somewhere around there, I don’t remember the exact amount.” At current exchange rates that works out to $3.3 million Canadian. 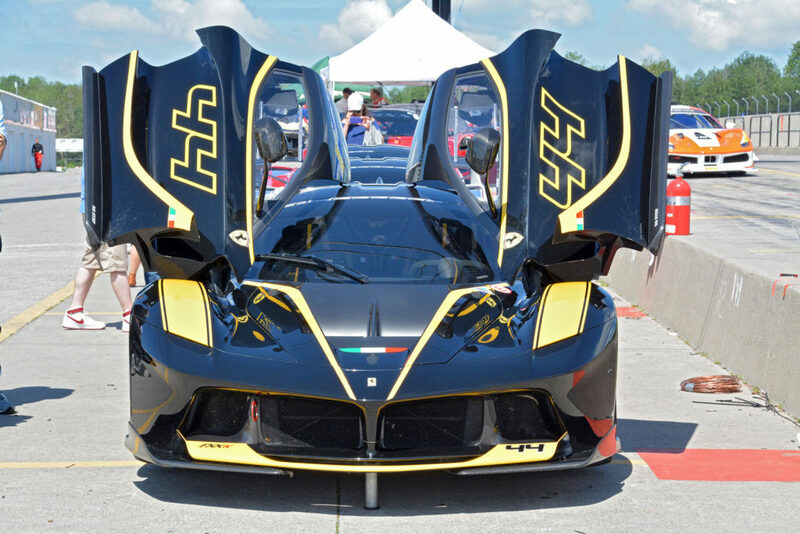 This is the most extreme Ferrari available to the “general” public. These owners are far from general. 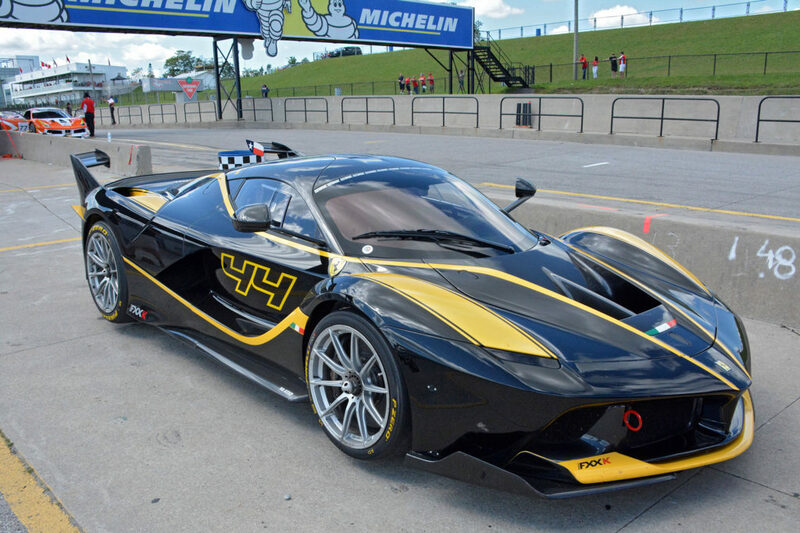 Ferrari plans to produce an even more extreme version of the car next year, the Ferrari LaFerrari EVO (or Evolution). Taylor’s current stable of cars also includes a Ferrari 599 GTO, which he referred to as “a beast.” 599 GTOs cost roughly half-a-million dollars. He also has a 458 Speciale Aperta, which are currently trading on the pre-owned market for half-a-million to three-quarters of a million dollars. Taylor has an F12tdf. “tdf” stands for Tour de France — the car race, not the cycling race. Pre-owned F12tdf’s are selling for more than one-million dollars. 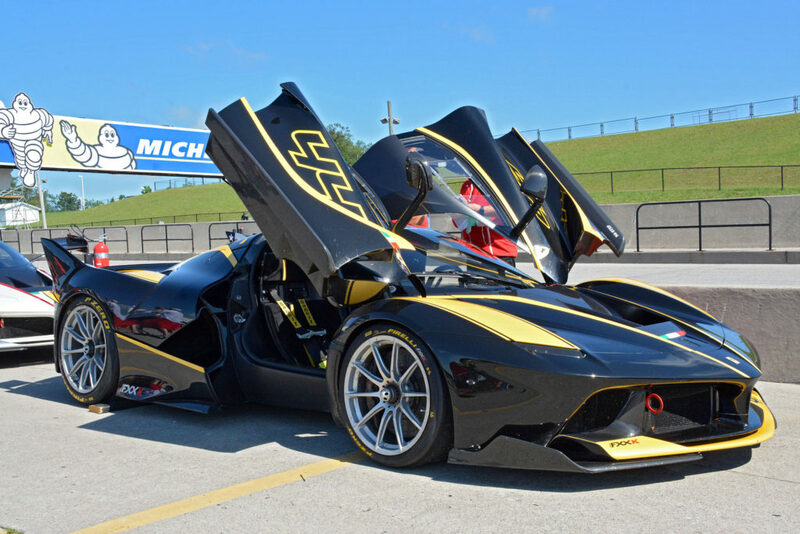 Taylor also owns a LaFerrari Aperta on order, which is scheduled to be shipped this fall. Ferrari is only producing 209 of those, and they cost about two-million dollars. Also on order is an 812 Superfast. They start at a more reasonable third-of-a-million dollars. 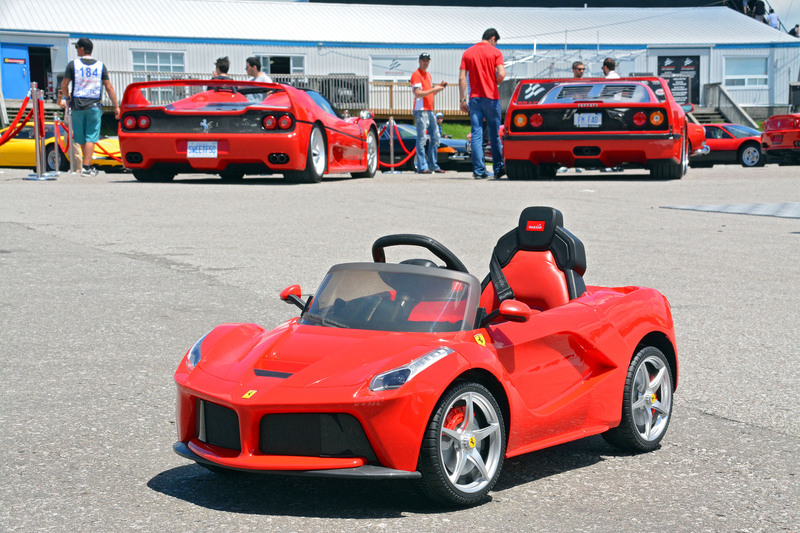 Taylor has been buying Ferraris since 2003. Since then, he has bought and sold about 40 Ferraris. He tends to keep the limited production cars and trade in the more common road going cars as new models replace them. The dealers like to get Taylor’s cars back because they can sell pre-owned Ferraris for more than list price. And Taylor’s cars are very low mileage examples. The last car he traded in had just over one-thousand miles on it. 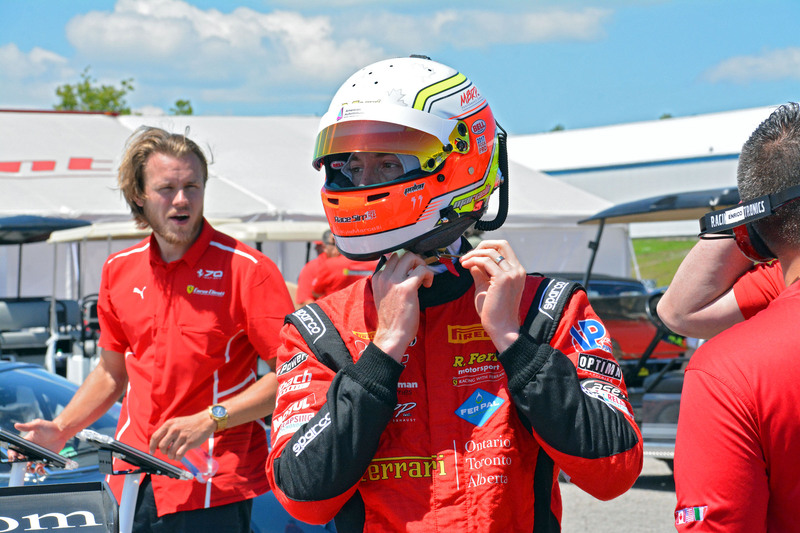 Also at the track was Torontonian Marc Muzzo, who is racing in the Ferrari Challenge Trofeo Pirelli Am class. We sat down with Marc as the race weekend unfolded to ask him how he was faring. 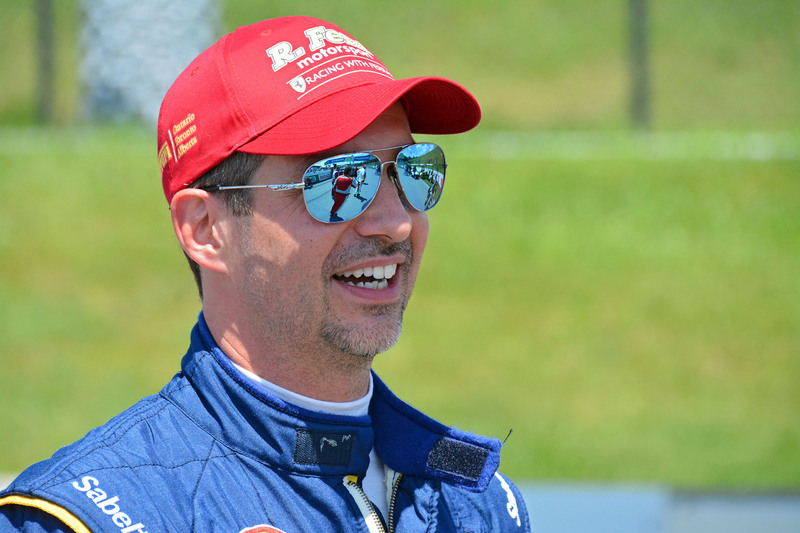 “The nerves are getting to me a little bit, but I’m good,” said Muzzo. “Before every race it’s the same feeling. Especially home races where there’s always that much more pressure. You’re expected to do well on your home track. “I’m running in the Trofeo Pirelli Am Class this year. We’re into our third race weekend and we’re sitting first in the points. The last three races we’ve been first including two firsts in Montreal at the Grand Prix. 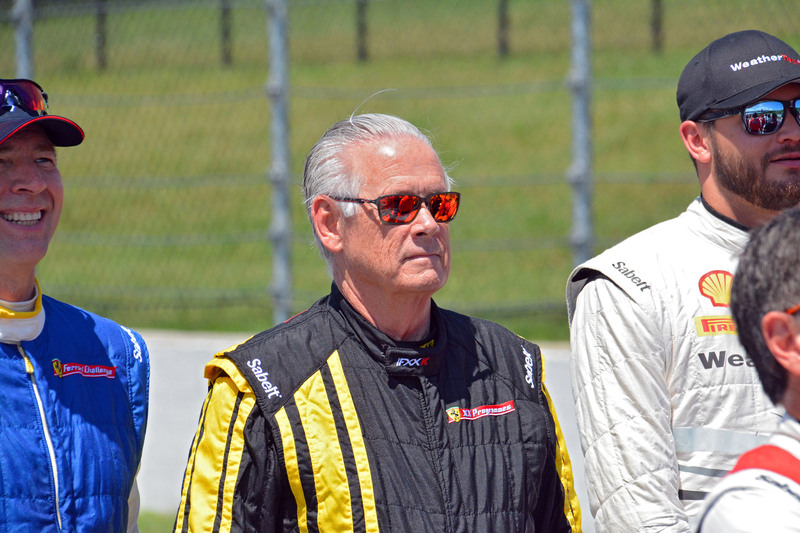 This is my sixth year in the Pirelli world challenge. I started at the bottom in the Coppa Shell class and worked my way up. If all goes well this year they will move me up to the top class to Trofeo Pirelli. Marc’s current “daily driver” is a beautiful red Ferrari LaFerrari which he parked in the parking lot like every other “normal” car. “I like driving my cars,” said Muzzo. 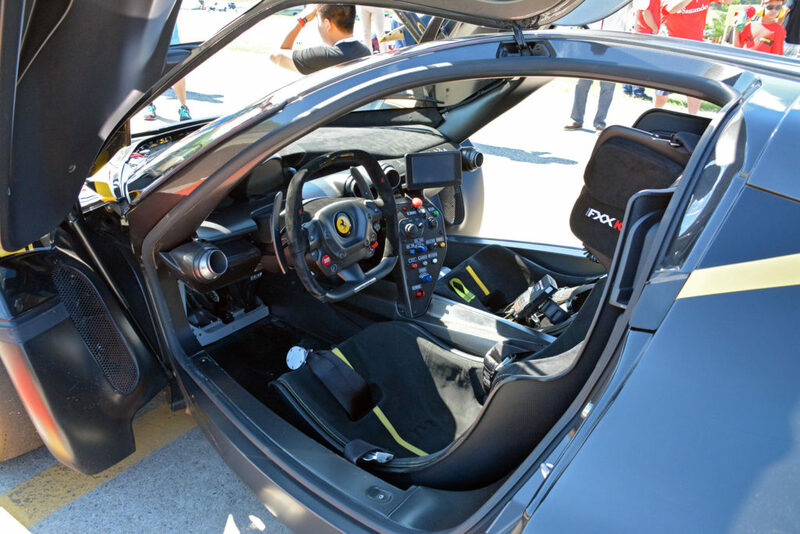 ”It kills me to see them sit.” His LaFerrari daily driver costs more than $1.5 million. Marc set the fastest lap in qualifying and won the first race. He finished up on the podium in third place in the second race. Not only is Muzzo very friendly, good looking and wealthy, he is also very fast. Young race car driver and Barrie, Ontario native, Kyle Marcelli was also on hand for a chat. “2016 was probably the busiest year for me,” said Marcelli. “On track I had a total of 36 events last year between three championships. This year I have two full time programs, one is with R Ferri Motorsports with the Ferrari 488 GT3 car in the Pirelli World Challenge the other is with Fields Racing in the in a Chevrolet Camaro in the Trans Am series. They’re like apples and oranges going between the two cars. 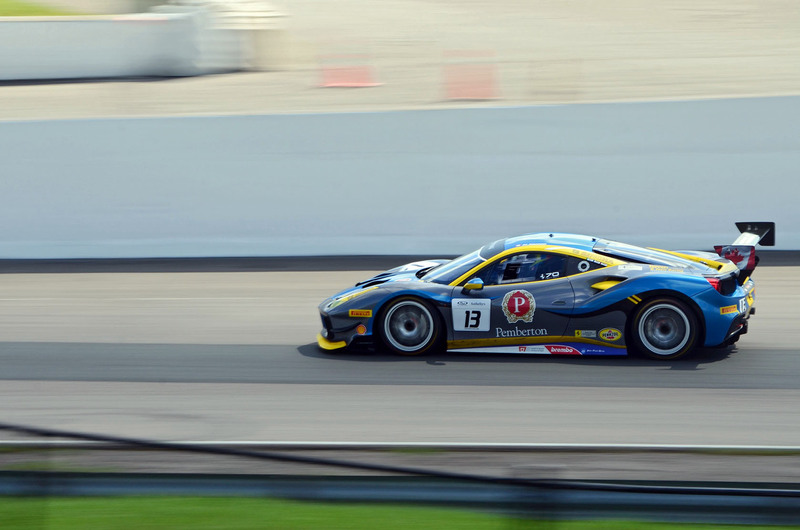 The Ferrari 488 GT3 car is a really really great race car. A very neutral car. It doesn’t really stand out or suffer in any given area, which makes it a great race car. 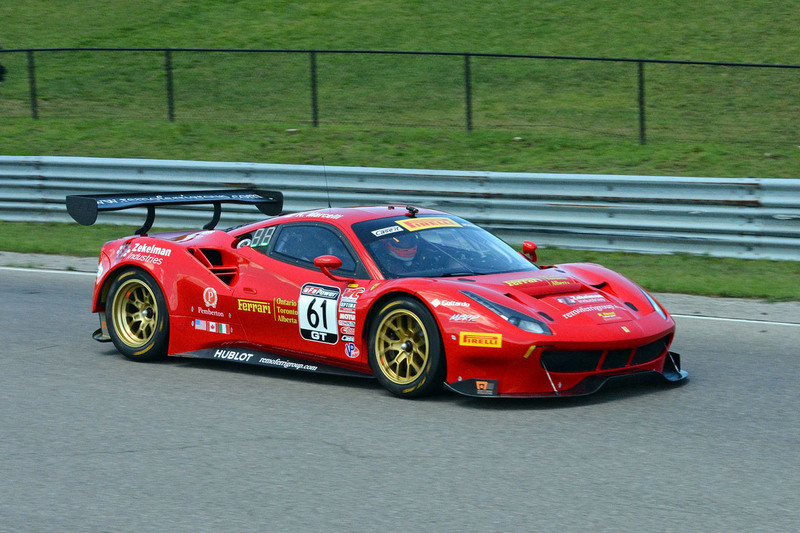 Other manufacturers might be strong at one circuit and weak at another, the Ferrari is a nice middle balance race car. I really enjoy it. 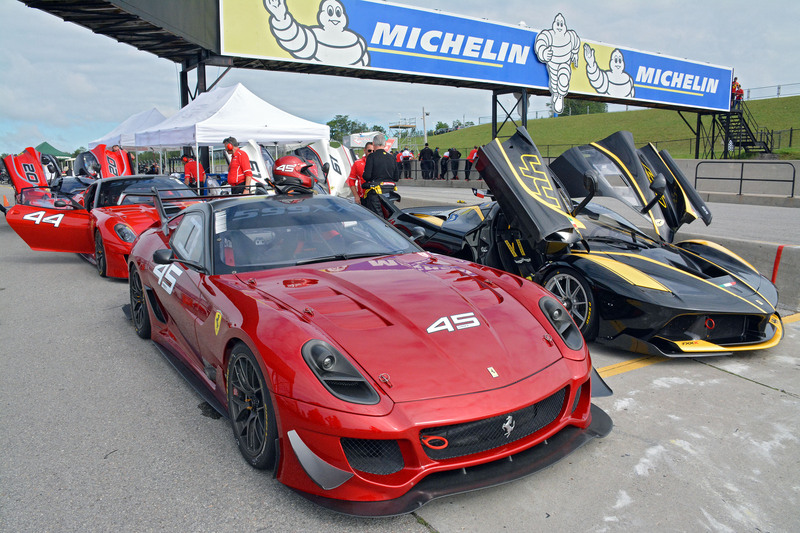 If the Ferrari Challenge North America comes to Canadian Tire Motorsport Park again next summer, it is a must attend event for all Ferrari fans and enthusiasts. It is the best kind of sensory overload: an abundance of sights, sounds and personalities worthy being there to experience in person. 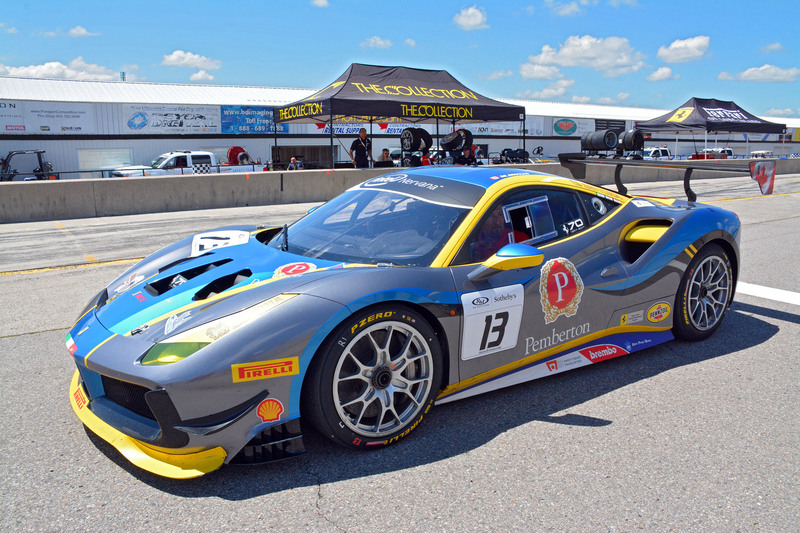 The next Ferrari Challenge race weekend takes place at August 11-13 at the Road America race track near Elkhart Lake, Wisconsin.